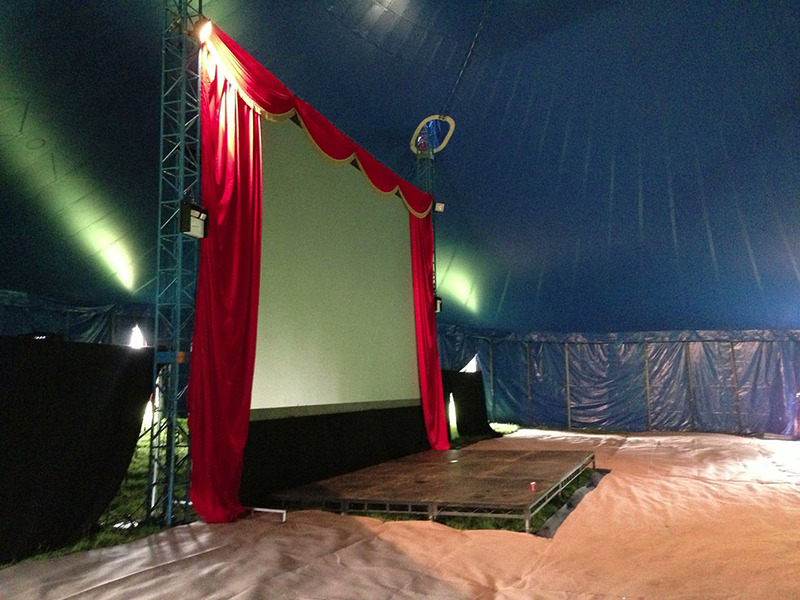 We have been working at The Green Man Festival since 2013 and our involvement has gradually increased over the years. 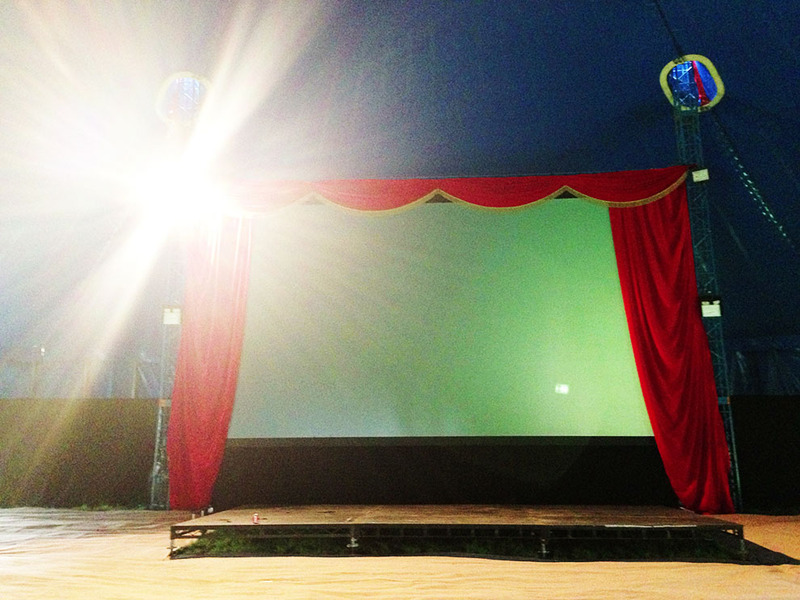 In the cinema we utilised red velvets with gold tassels to frame the huge projection screen and give the tent the feeling of an old theatre. 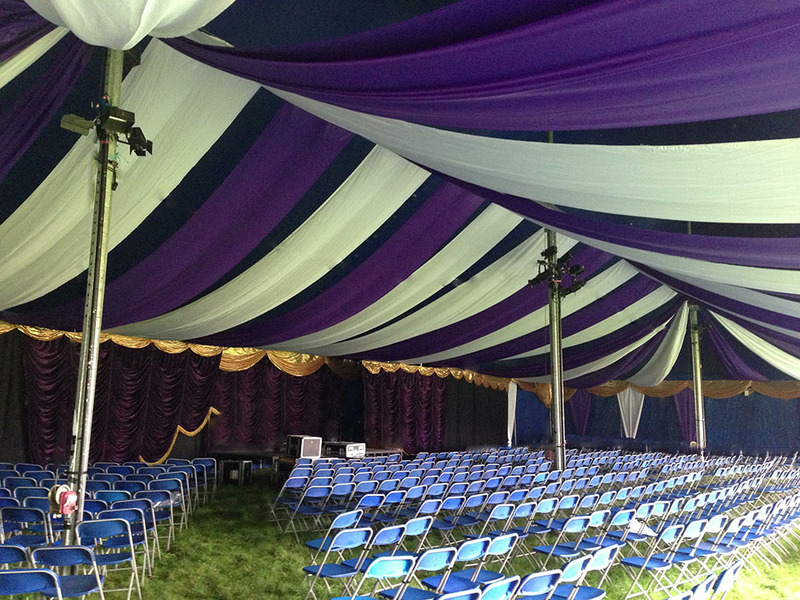 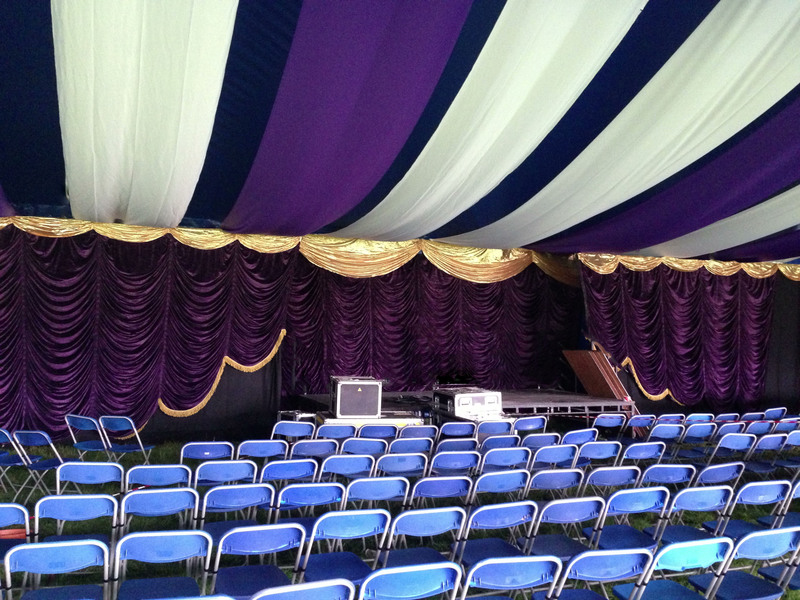 Due to the effectiveness of the decoration each year our remit has increased to include bars and crew areas.